Great first weekend for Gnit! 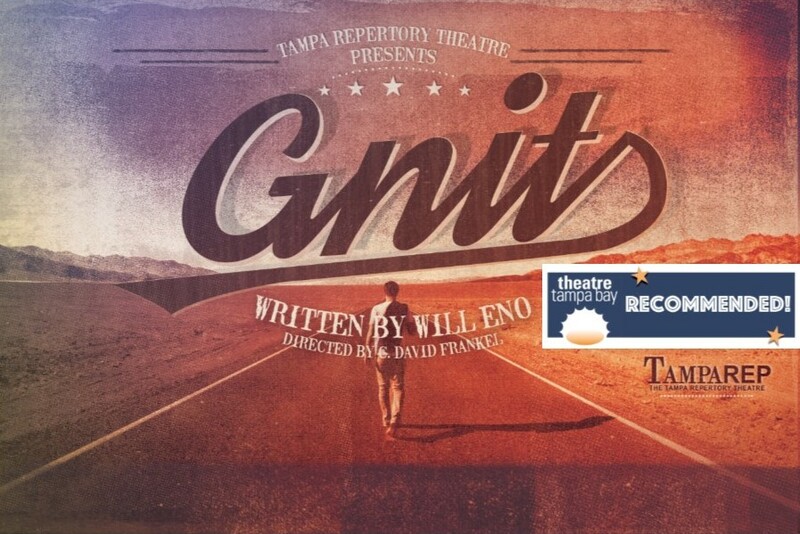 Gnit: Recommended by Critics and Theatre Tampa Bay! We had a great opening weekend for Gnit! Not only were we recommended by Theatre Tampa Bay, but critics heaped praise on the production. Writing in the Tampa Bay Times, Julie Garisto said "Tampa Repertory Theatre’s Gnit strikes gold for theatergoers who appreciate deadpan wit, clever wordplay and incisive commentary on the human condition." 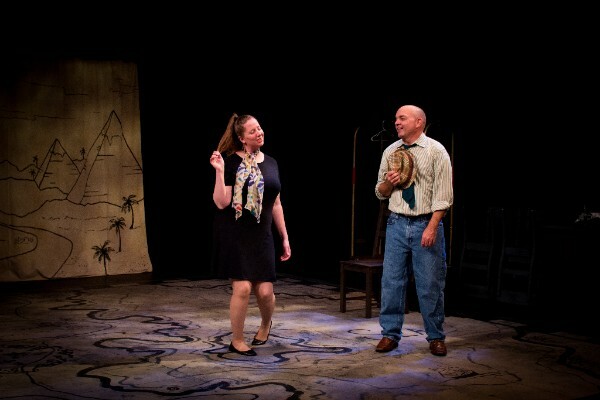 The play, she notes, "supplies a bellyful of laughs followed by quick releases of therapeutic catharsis." You can read her review here. Jonelle Meyer and Jon VanMiddlesworth in a scene from Gnit. 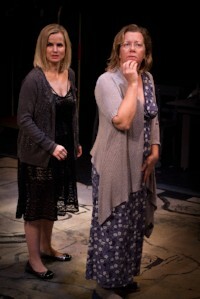 Lauren Buglioli (Solvay) with Lynne Locher (Mother) in Gnit. 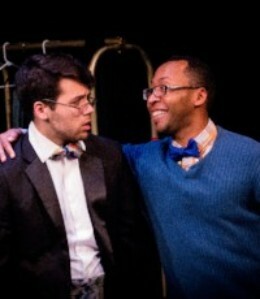 Nick Hoop as Moynihan shares a moment with TR Butler as Town in Gnit. Here's a short trailer to give you a taste of what the production looks (and sounds) like. Sierra Umberger made it and the music is by Igor Santos, who composed quite a score for the production. We're back on stage on Thursday night at 8pm, with additional performances on Friday and Saturday night and Sunday at 3. Then one more weekend (Jan. 25-28) and Gnit is gone. Don't miss it. Get your tickets at TampaRep.org/Gnit. Copyright © 2018 The Tampa Repertory Theatre, All rights reserved. 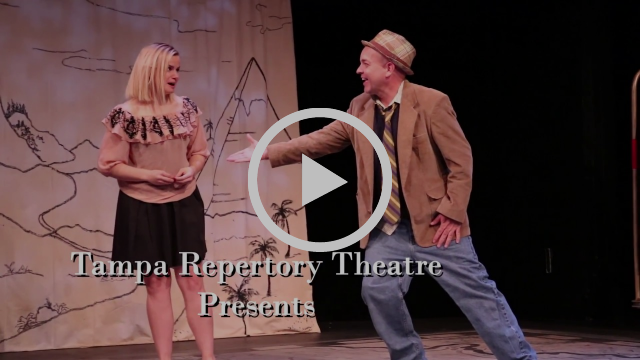 The Tampa Repertory Theatre operates as a non-profit professional theatre and is a 501(c)(3) charitable organization registered with the Florida Department of Agriculture and Consumer Services, registration # CH43726. A copy of the official registration and financial information may be obtained from the division of consumer services by calling toll-free (800-435-7352) within the state. Registration does not imply endorsement, approval, or recommendation by the state. U.S. Federal Tax ID number is 45-2408329. Your contribution is tax-deductible to the extent allowed by law.